Richard Drury was born on October 22, 1943, in Burbank, California. He was commissioned a 2d Lt in the U.S. Air Force through the Air Force ROTC program at the University of Southern California on July 30, 1965, and went on active duty beginning October 16, 1965. Lt Drury next completed Undergraduate Pilot Training and was awarded his pilot wings at Williams AFB, Arizona, in October 1966, followed by B-52 Stratofortress Combat Crew Training from November 1966 to March 1967. His first assignment was as a B-52 pilot with the 340th Bomb Squadron at Blytheville AFB, Arkansas, from March 1967 to December 1968, and he then attended A-1 Skyraider Combat Crew Training from January to May 1969. Capt Drury served as an A-1 pilot with the 1st Special Operations Squadron at Nakhon Phanom Royal Thai AFB, Thailand, from May 1969 to May 1970, followed by service as a B-52 pilot with the 23rd Bomb Squadron at Minot AFB, North Dakota, from July 1970 until he left active duty on October 16, 1970. Maj Drury served with the California Air National Guard from 1975 to 1981, where he served as a C-130 Hercules pilot. After leaving active duty, Richard flew for an air-frieght company in California before returning to Vietnam as a civilian pilot based in Vientiane, Laos, until 1973. He then flew for Flying Tiger Line from 1973 until it was acquired by Federal Express in 1989, and with Federal Express until his retirement in 2003. 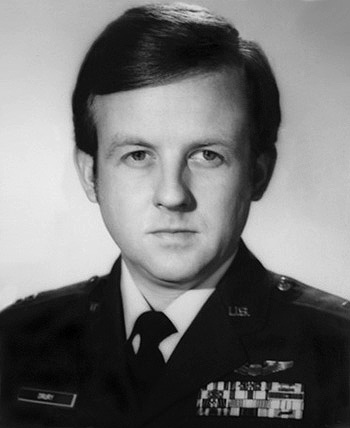 Captain Richard S. Drury distinguished himself by gallantry in connection with military operations against an opposing armed force in Southeast Asia on 7 February 1970. On that date, Captain Drury was the On Scene Commander for the rescue of two downed aircrewmen. By repeatedly exposing himself to heavy anti-aircraft fire, Captain Drury was able to locate and suppress numerous hostile gun positions. His professional competence in directing the operation permitted the rescue helicopter to effect a successful pickup of both downed airmen. 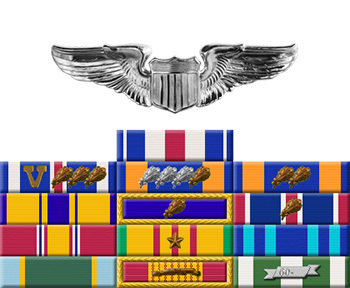 By his gallantry and devotion to duty, Captain Drury has reflected great credit upon himself and the United States Air Force.